They say that the kitchen is the heart of the home. It’s where magical, family-gathering cooking happens. It’s where people come to find comfort foods after a long day or snacks before running out for a busy day. Since this place is so special to your home, is it possible that it can use a little extra care? Maybe it’s time to give this important space a makeover. But, what can you do to improve this spot? We have just the idea for you. Two words: new floors. That’s right! You can literally change the appearance of your home’s heart by installing a new kitchen floor. Not sure what kind of floors to install? That’s no problem; we have a couple of suggestions for you. Before we go any further, let’s first talk about the benefits of getting a new kitchen floor. We’ve already mentioned that doing this could really give your kitchen a great new look. Who doesn’t love a beautiful kitchen? But, there are a few other reasons why you might want to look into installing some new flooring in this specific area. The kitchen is an interesting place. The floor has probably seen its fair share of spills and broken glass. People come in and out of this space. That means there’s a lot of opportunity for wear and tear on the flooring. So, a new kitchen floor may be exactly what you need. What do the living room, bathrooms, family room, and kitchen all have in common? They can all be thought of as “public” areas. Guests and family members alike might all spend time in those spots. So, it’s important to make sure that you’re comfortable with every area. You may have spent time getting the bathroom nicely decorated and the living room as comfortable as possible. It’s a good idea to do the same thing in the kitchen! You can start by looking into a new kitchen floor. Cork is a great idea for your new kitchen floor. This kind of flooring is durable. That’s good news because, like we discussed a little earlier, your kitchen floors receive a lot of traffic. Cork flooring is also versatile as it comes in various styles and colors. So, if you’re not looking to get new cabinets or appliances, you can get cork flooring that matches what you’ve already got in your kitchen. Finally, cork floors are resistant to water. That’s definitely good for kitchens. A lot of people like the look of tile or stone flooring in the kitchen. These types of flooring are also very durable. It’s also pretty easy to maintain them. Like cork flooring, tile and stone floors are versatile. You can pretty much count on finding some tiles or stone that matches your current color scheme. Vinyl floors work well as kitchen floors. They are easy to clean and they’re cost effective. They’re comfortable to stand on, as well. Vinyl floors come in all types and colors. Some vinyl floors can even give the appearance of tile or stone floors. Do you think that it is, in fact, time to do away with the old flooring in your kitchen? Great! The first step is getting rid of your current floors. That’s where we come in! We are DustBusters Floor Removal and we can help you by getting the floors out of your kitchen so you can install and new kitchen floor. 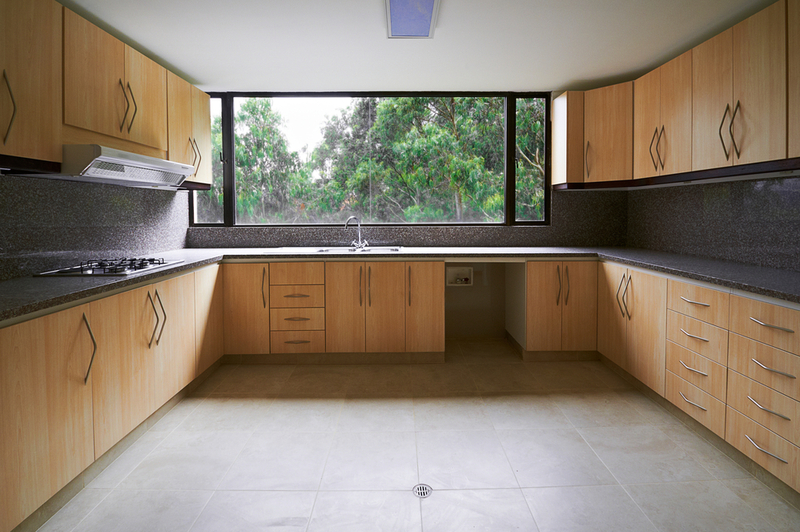 If you’re ready to give your kitchen a new look, contact or call us today!